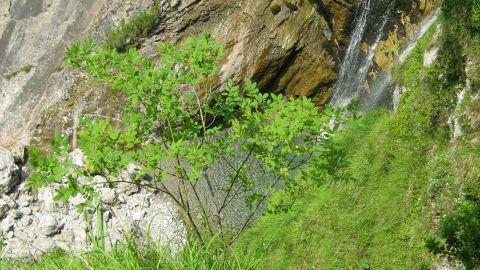 The Dolomiti Bellunesi National Park spreads solely within the Province of Belluno. Its surface amounts 31500 hectares. The park was instituted in 1990 and it encompasses a wide landscapes and mountains variety. In its lower portion there are populated zones and also old settlements. Its highest parts are characterized by savage regions that are difficult to reach, but that convey undisputed appeal. The territory of the park is very changeable and if offers nature images: it ranges from prairie to rocky mountains, from wood to screes and canyons. Several rare plant species that are endemic there. That part of the Dolomites was free from ice during the last Ice Age that lasted until 12000 years ago, and this is considered the cause of the occurrence of these rare species. The territory of Dolomiti Bellunesi National Park is located in the Southern Alps, and many of these mountains still belong to Dolomites, while parts of them belong to the UNESCO Belluno Dolomiti area. Grassy mountains like Monte Serva or Monte Pavione are inside the park area. But then, a long alpine chain from Vette Feltrine to Monte Schiara and beyond shows the appeal of the Dolomite rock. This wonderful natural park is characterized by impervious valleys, greens and moraines. Several mountain groups are well distinguished and they are well known by mountains enthusiasts, even if they are not the most famous mountains in Italy. 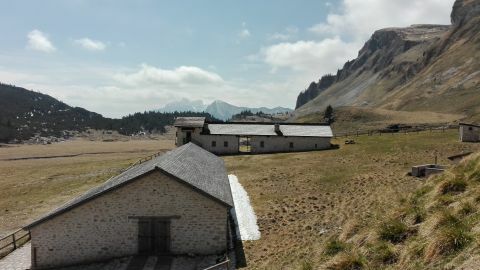 Starting from 2100-2300 meters above sea level of Vette Feltrine (Feltre Peaks), they continue to Monte Pizzocco, Monti del Sole, Pramper and the Schiara Group. One of the most interesting facets of this park is the geological perspective. Because of the slow erosion of limestone, the Park includes several karst zones and within its borders 200 cavities have been surveyed. The “Piani Eterni” area is a large plateau at about 1700 meters above sea level. In its subsoil about 35 kilometers of galleries have been discovered. These galleries score two regional records for Veneto. The deepest gallery descends down to 1052 meters below land surface, while the longest excels at national level. The mines of Valle Imperina deserve to be mentioned. They already existed in roman age, and there copper and then silver were extracted. The ancient mining resort was closed in mid 1900s and today it is an industrial archeology museum. It is not surprising that such plenitude of cavities is rich in waterways, streams, creeks, that sink in the ground and emerge back downstream. Water is also protagonist of another peculiarity of the Park: flora. 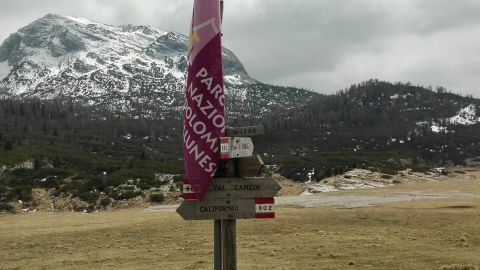 Almost ¼ of flora of Italia territory is present also inside the Park. About 1400 species were surveyed there, ranging from forest trees to the smallest seedlings, including several rare species. The park encompasses also several climatic areas, because of its large surface and substantive altitude range, varying from few hundred meters to over 2000 meters above sea level of the peaks. 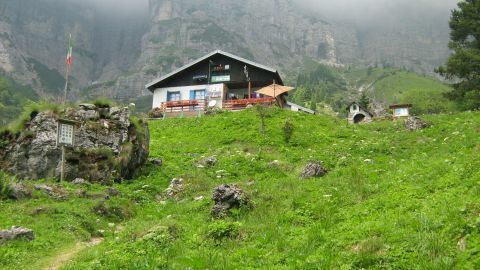 Even if the Dolomiti Bellunesi National Park spreads within only one province, it covers a significant fraction of it. It touches the municipality of Pedavena, then Feltre, and then up in the Val Belluna until Agordino, and finally Val di Zoldo and Longarone. The Park foundation organizes environment education courses with annual programme, and it promotes several scientific research activities inside its area also for nature conservation.